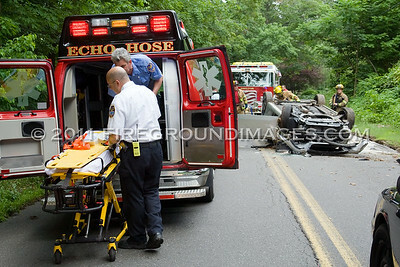 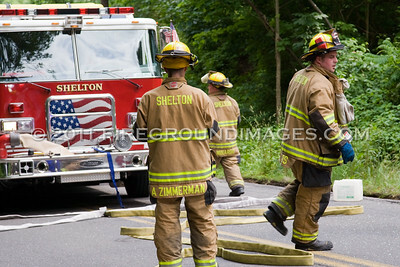 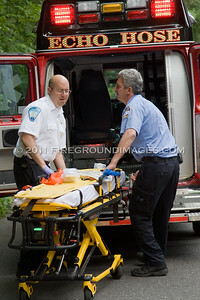 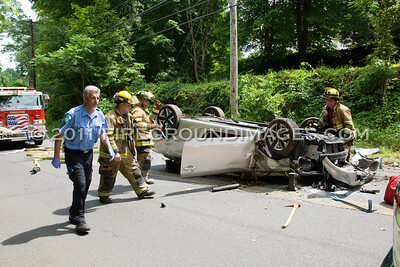 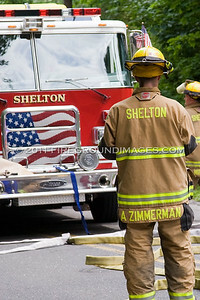 SHELTON, CT – Shortly after 2:30pm on June 15, 2011, Shelton Fire Companies 4 and 1 were dispatched to Long Hill Avenue near Murphy’s Lane for a vehicle that had rolled over with possible entrapment. 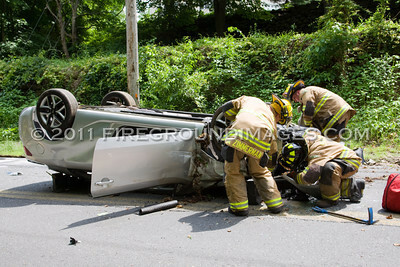 Upon arrival members found the vehicle on its roof and that the driver had pulled himself from the vehicle. 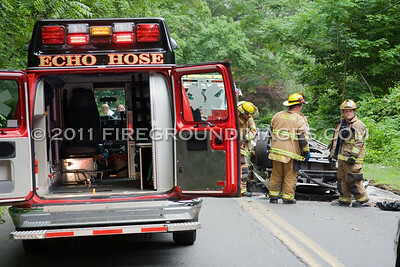 He was treated and transported by Echo Hose Ambulance.